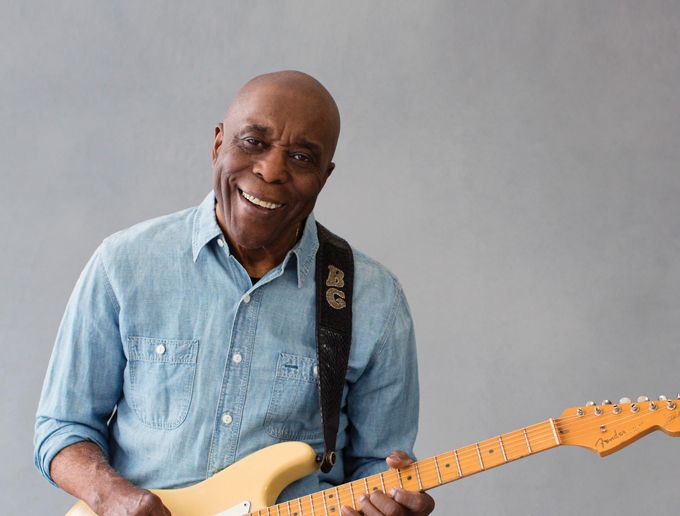 SECOND IN LINE TO THE THRONE FOR MANY YEARS WHILE HIS FRIEND AND MENTOR, THE LATE BB KING, soothed the souls of countless admirers, Buddy Guy is one of the last standing from the final wave of authentic southern blues artists to make their way to the Windy City. Witnessing a Buddy Guy performance to this day is a revelation. Onstage, Buddy harnesses the energy of a man many times younger, both instrumentally and vocally. He is a force of nature. And Buddy’s guitar playing is second to none, making it obvious every time he touches the strings why legends such as Eric Clapton, Jimi Hendrix and Stevie Ray Vaughan looked up to him as a mentor. Buddy not only continues to tour incessantly, but also to release album after album filled with wonderful music. 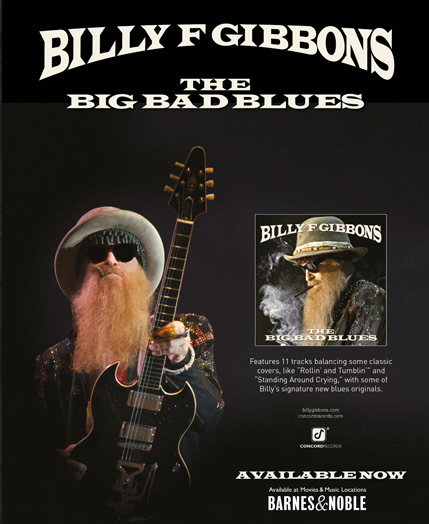 Buddy’s latest release is The Blues Is Alive And Well. 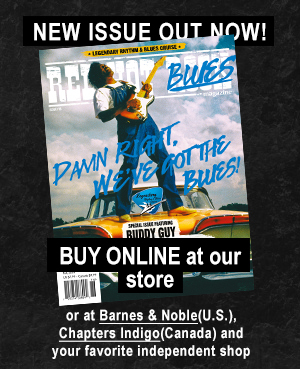 Red Hot Rock Magazine has enjoyed the thrill of being granted an audience with Buddy Guy many times through the years. Early in the morning, after one of many nights that Buddy has performed for the passengers onboard the Legendary Rhythm & Blues Cruise, he was kind enough to spend time with us in one of the ship’s lounges for the following conversation. RED HOT ROCK MAGAZINE: Hello, sir. It is an honor each and every time I am given the opportunity to speak to you. Right off the bat, I need to mention that your show last night was fantastic. I can’t count how many times I’ve seen you perform over the years, but you simply were on fire last night. Every time I see you, your guitar playing is more expressive and raw. You seem to be letting loose more and more as time goes on. BUDDY GUY: That sounds funny ‘cause every time I think I play bad, somebody tell me I play good. RHRM: You thought you played bad last night? RHRM: No. Ha ha ha. There wasn’t a bad note. BG: I don’t know. I don’t know. The boat had me kinda, you know, I wasn’t steady. And every time I thought I was gonna get a solid stand, it would rock me a little bit and at my age you have to think about falling. RHRM: Maybe that caused you to be a little looser, a little more raw. BG: Ha ha. Yeah, well, the last time I was on there, it was worse than that. I had to sit down. We went from Fort Lauderdale to New Orleans and it went a little worse than what it was last night. So, I told them to bring me a stool. They had one ready for me last night, but it wasn’t quite as bad where it runs me from one side of the stage to another. But I could feel it, ‘cause I kept telling my keyboard player, you know, look out, here I come. RHRM: It feels as if after getting held back by Leonard Chess and Chess Records from playing the type of blues you wanted to all of those years ago that you still seem to be pulling back layers of rawness and edginess in your guitar playing, as if you are still freeing yourself from those constraints and becoming more of the artist that you always wanted to be with each album that gets released and every performance that you do. BG: Well, I always did do that in my performance. But when I went to the studio, the late Willie Dixon and all of those people like that would try to teach you how to play in the studio. And I always figured there’s no time for teaching when you’re recording. It’s time to let go. And let me give you the best that I got, which I was taught that by my parents, as kids, you know, be the best that you can. And I was a good listener. Still is. So when I would go in the studio, it was, like, Willie Dixon, whoever else had ideas what I should do right now. And I’m thinkin’, well, you should give me a chance to learn that. I can’t learn that within three seconds. I’m not that good. So, I had a lot of problem with that. And finally, when you would come out and see me like you did last night, I wouldn’t have nobody to tell me nothin’. You can’t tell me nothin’ when I get to the stage. It’s almost, like, you can see a great prizefighter in the ring. His manager’s on the corner hollerin’ what to do. But that ain’t helping at all. You gotta defend yourself when that bell rings, man. So, I kinda look at it in that respect. Yeah. I gotta do what I gotta do. BG: You go as long as you can. RHRM: Your protégé, Quinn Sullivan, who jumped onstage last night to trade off some tasty licks with you, has turned out to be quite a player. At such an early age, not only does he have his technique down, but he also has bucketloads of feel. That is not always the case with young kids who start playing the guitar. Even when playing a thousand notes a minute, they don’t move me. Quinn seems to be the whole package. I saw him play with you many years ago in Manhattan. He was very young at that time. BG: Yeah. Seven years old. RHRM: I remember thinking how incredible it was that he had that amount of emotion in his playing at such an early age. RHRM: Not that many kids that didn’t grow up with your background can play like that.